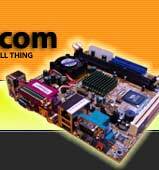 mini-itx.com - news - The "SpacePanel"
PC fanatics will be no stranger to the LCD panel - pictures of them adorning the front of PC cases are on the increase. 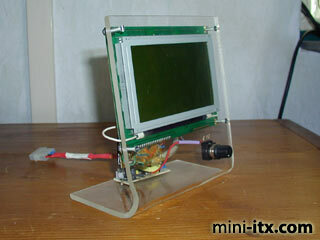 A pre-packaged LCD from one of the big suppliers might offer 2-4 lines of text and simple graphics but we at Mini-ITX.com like to go one step further. We've had so many requests for more information on the LCD used in the SpaceCase we've worked with the designer to create the "SpacePanel". It's remarkably simple to build, works great and Bart has even supplied details on how to create a great looking stand for external mounting.